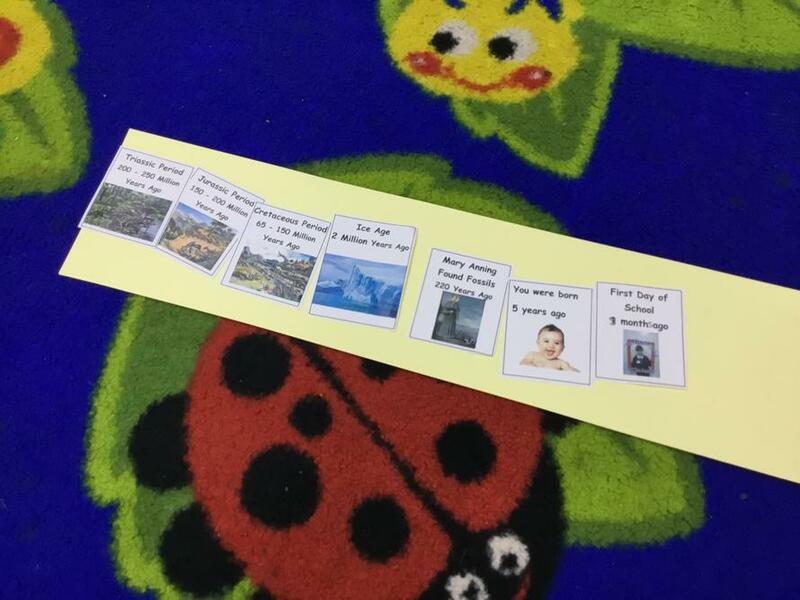 Yesterday we thought about when dinosaurs were alive and made a class time line to show this. 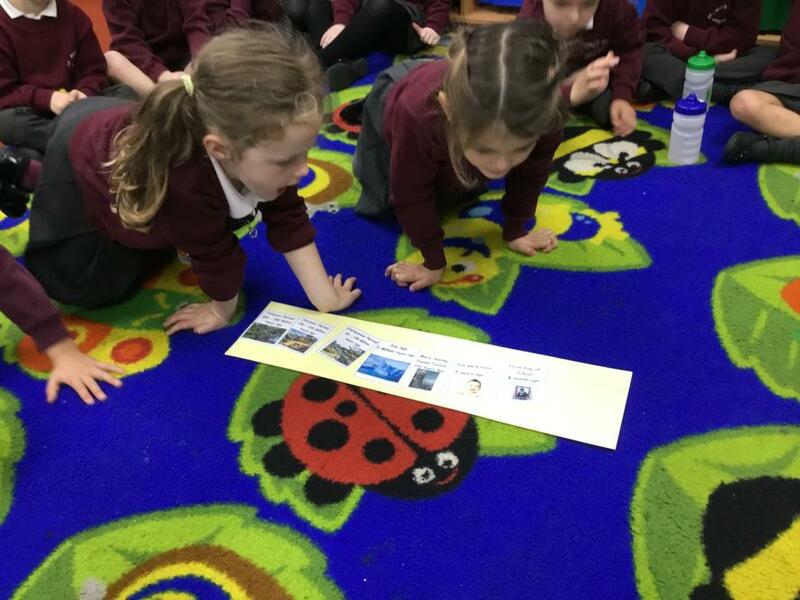 250 million years is a VERY long time ago and we sorted the periods in chronological order linking it to which dinosaurs had evolved at that time. 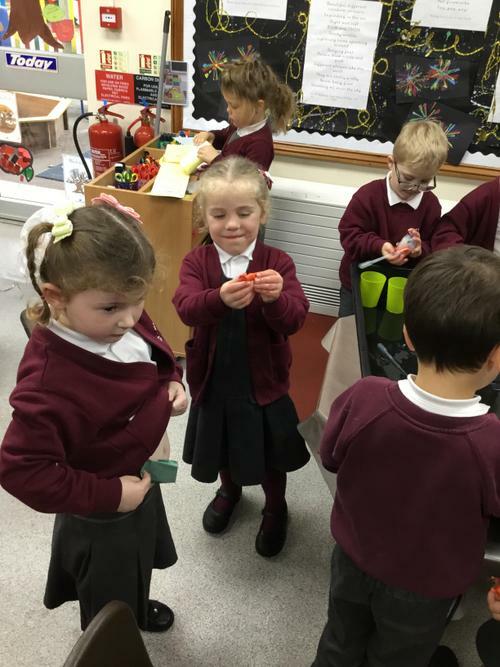 We also learnt that the scarier dinosaurs like the Tyrannosaurus Rex and Ankylosaurus evolved during the Cretaceous period 65 million years ago. 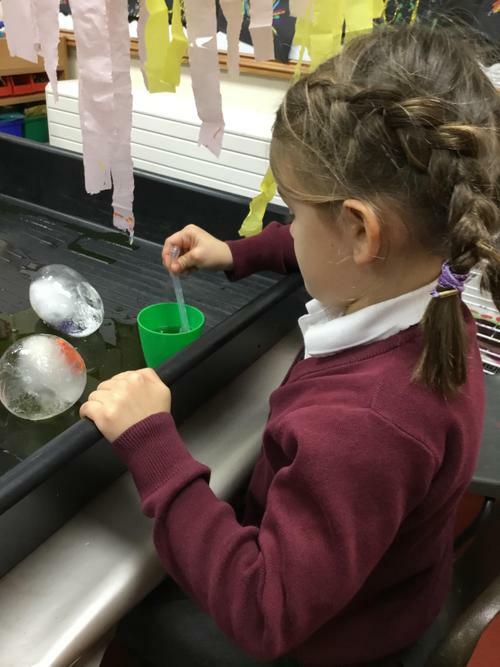 We recapped our knowledge of Mary Anning and then discovered that some dinosaur fossils were also discovered in ice. 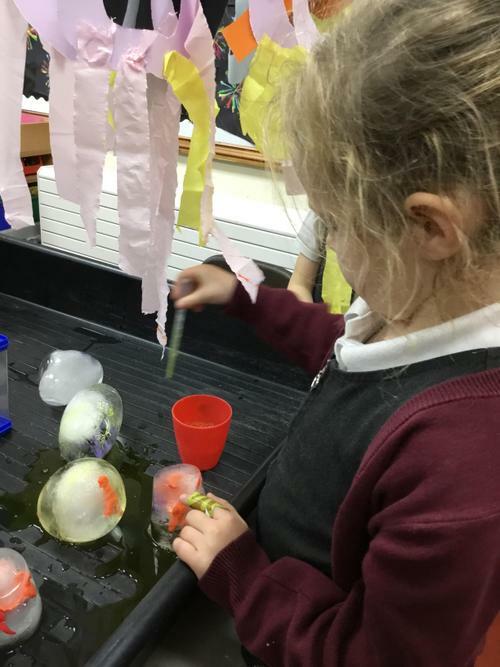 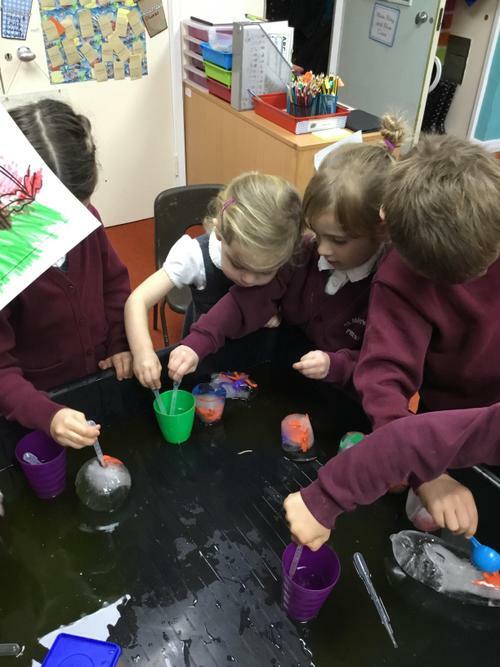 You'll never guess what... some dinosaurs had become trapped in ice in our classroom! 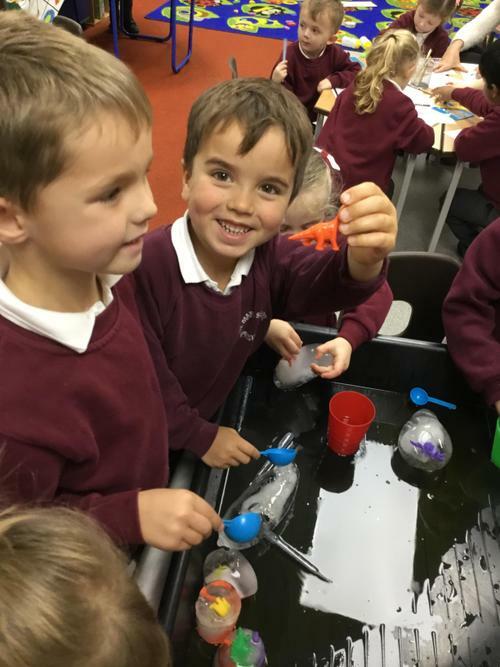 We had to become palaeontologists to free the dinosaurs. 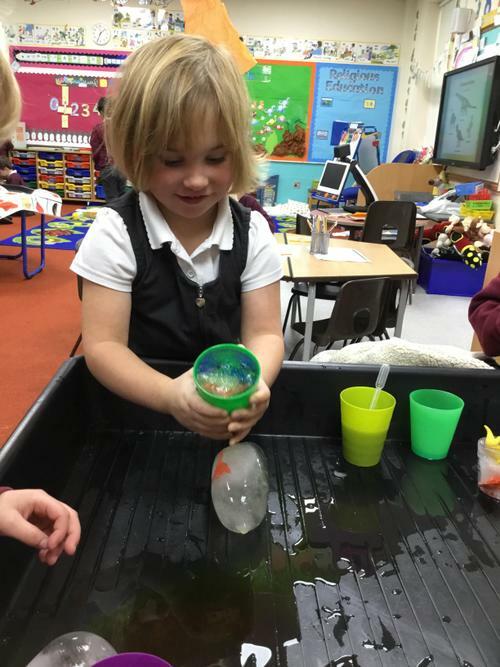 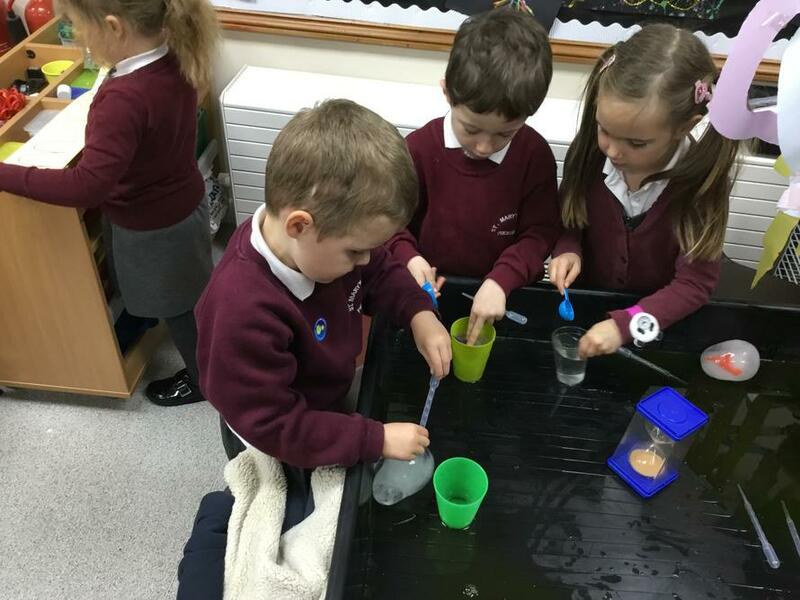 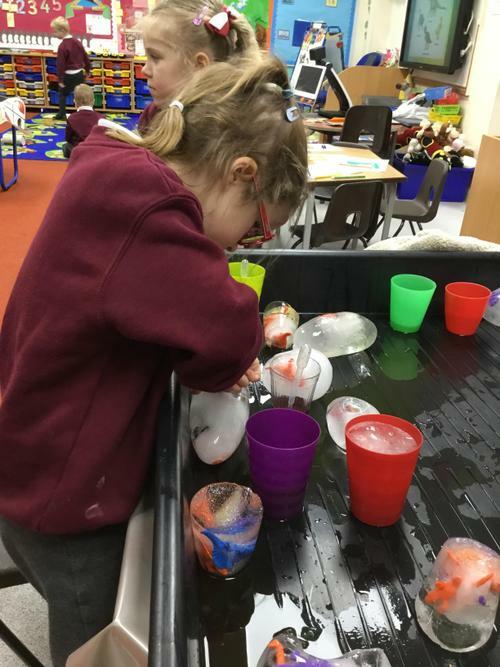 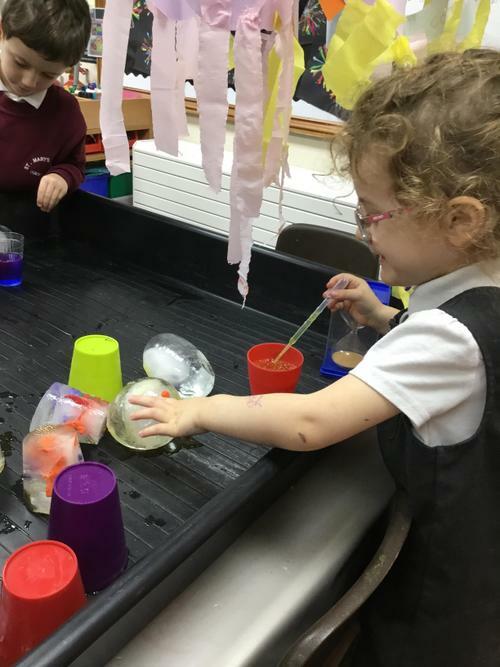 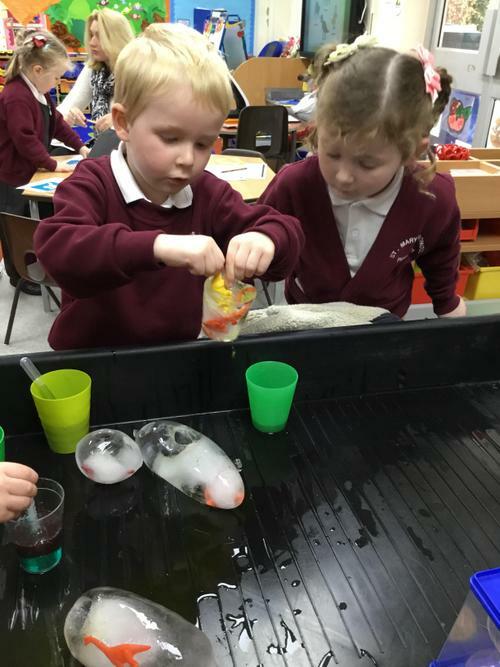 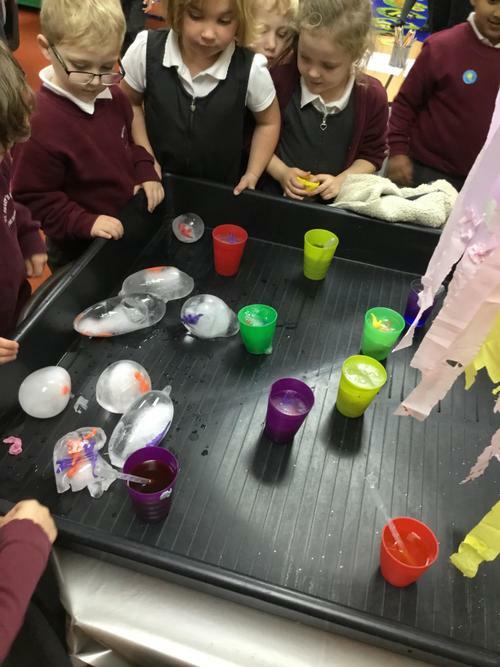 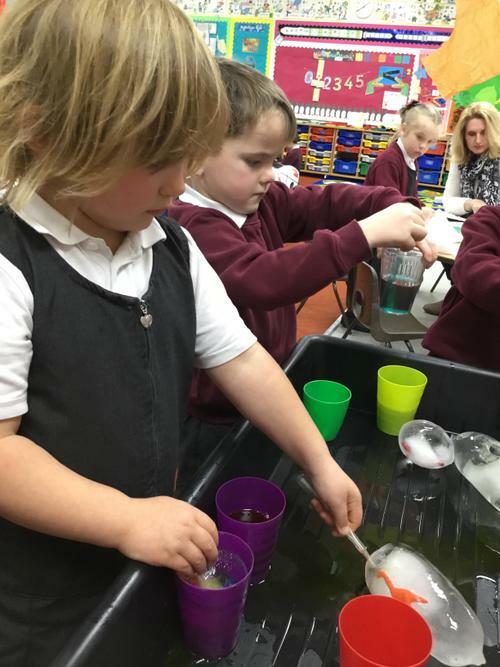 We had to think carefully about how to get the dinosaurs out of the ice and we investigated whether the water temperature was an important factor in helping the ice to melt.